These are the 75 Litre Wormeries, the 100 Litre has an extra tray. 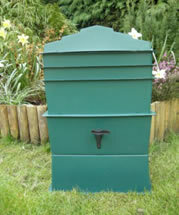 The "Caddy", your worms kitchen larder. We have three great big compost heaps, and turning them is one of my least favourite jobs ! Although I do start everything off in our Wormcast and Coir which Andrew and Diane's worms produce for us, I would be totally lost without a regular supply of fresh compost . We got to thinking though as to whether we could ease off the 'turning', as well as tidying up the process a little. My 'pile it all in' compost heaps do tend to sprawl a bit, and I'm always worried about some very unwelcome visitors. Well I had a long, hard think ( ouch ) about tidiness, and generally cleaning up my act, and then decided what to do. Separate all that kitchen waste from all that garden stuff. And the neatest way of getting rid of all of that kitchen waste, is just to get a wormery. We looked around a lot first mind, "Don't rush into things" Joe said ( he's so exciting to live with ) and eventually we settled on the 'Wormcity Wormery' that Ronnie and Geoff Burn designed, and now produce, down in Dorset. Why Ronnie and Geoff's 'Wormcity' ? Well lots of reasons really. 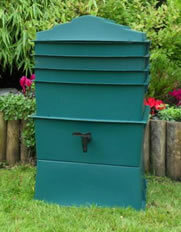 The Wormcity Wormery is really tough, and made from recycled UV protected plastic. Each tray, a full 25+ litres no nonsense worth, is deeper than competitors, so that the worms can go up and down according to temperature. 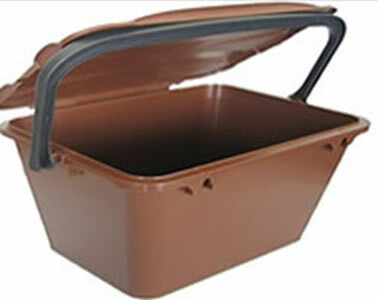 They are designed to rest on the composting stuff below, so that your worms can easily move from tray to tray as the matter reduces into vermicompost. The 'sump' - bottom bit with the tap to me- is designed so that no worms should drown as it's 'stepped', they can wriggle up but can't swim ! 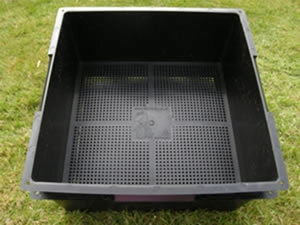 The Wormery's base is strong and very stable, and the sump is screwed into it for real sturdy stability. The 'Tigers' eat their bodyweight each day, the 'Dendrobaena' eat about half of theirs, but then they are twice the size ! 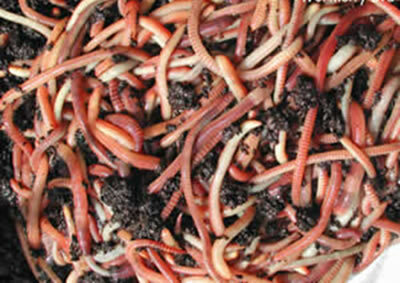 Our Wormcity wormery comes with a full kilo of worms - that's up to 2000 of them. 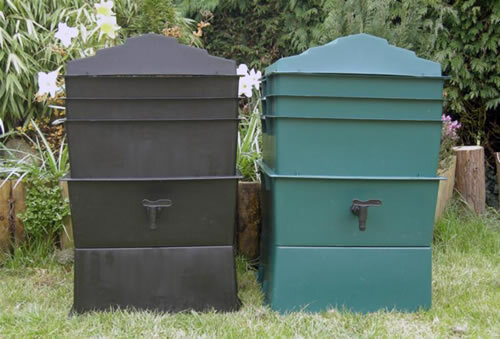 As well as your wormery, we will include two 'extras' because I really would like to to make the changing of that waste stuff to rich compost as easy and as simple as it can possibly be. 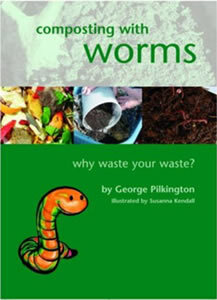 George Pilkington's book really does tell you how to build up a successful wormery, each easy step is explained, with loads of helpful tips. The " Caddy" is an ideal, tidy place for all those peelings, cabbage stalks and stuff until you add them to your wormery. It enables you to keep track of what you are feeding them too. Your kilogram of worms can eat about 500 grams a day, don't feed them more than this until your wormery has been running for a few months, and your worms have multiplied a bit - they don't spend all their time eating ! 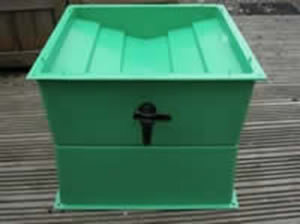 Just to sum up, our 'Wormcity Wormery' kits give you everything you need to start a successful wormery. 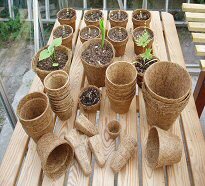 Including a compressed coir block, and special 'get 'em started' worm food to get the worms and up and chomping from day one.